Locksmith St Helens, providing Locksmiths in St Helens and Emergency Locksmiths in St Helens, we are Residential and Commercial Locksmiths in St Helens and surrounding areas. we are a local family owned Locksmith St Helens so for a free quote call Derek your St Helens Locksmith on 07967-778940 we are here to help. Locksmith St Helens do not charge a call out fee, do not charge vat and charge for the job and not per hour and of course being Locksmiths in St Helens we can normally be with you within 30 mins. 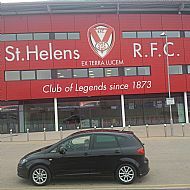 We are 24 Hour Locksmiths in St Helens. Locksmith St Helens are family owned Local Locksmiths in St Helens we provide sevices for private landlords a number of large letting and estate agents in St Helens and surrounding areas and a very large charity serving the Northwest of England. Locksmith St Helens are Local St Helens Locksmiths which is important when you need a Locksmith in St Helens for a few reasons one is that you will be paying local not national prices and secondly we can be with you normally within 30 minutes. When you need an Emergency Locksmith St Helens due to being Locked out in St Helens or simply lost your keys in St Helens dont despair give Derek your Emergency Locksmith St Helens a call on 07967-778940 being Emergency Locksmiths in St Helens we can be with you normally within 30 minutes to gain entry to your premises and change your locks if required. this neednt cost the earth. If your locked out in st helens its important to call a local Emergency Locksmith in St Helens as they are more likely to be with you quicker than a national company. So if you need a local Locksmith in St Helens or Emergency Locksmith in St Helens, then call Derek at Lockkeys Locksmith services 07967-778940 for a free no obligation quote we can normally be with you within 30 minutes we are a family owned local Locksmiths in St Helens. Why choose a Local Locksmiths St Helens, simply put being Locksmiths in St Helens and being family owned we care about providing quality and reliability at a reasonable cost. How can we call ourselves Local Locksmiths St Helens well we live and work here, so if our Local Locksmiths in St Helens do a good job for you then your more likely to tell others about us and thats the type of advertising that you cant buy. Locksmiths St Helens are proud to serve our community and hope that you choose a Local Locksmith in St Helens to help with your lock requirements. Locksmiths in St Helens, locksmiths in Widnes, locksmiths in Prescot then call 07967-778940 Lockkeys Locksmith Services are a family owned local Locksmiths in St Helens, Widnes, Prescot. Lockkeys Locksmith Services are Local St Helens Locksmiths who provide fast efficient quality locksmith services in St Helens and Widnes, so if you need a locksmith in Parr, locksmith in eccleston, locksmith in rainford, locksmith in rainhill, locksmith in prescot, locksmith in Thatto Heath, Locksmith in Sutton Leach at a reasonable price, call Derek at Lockkeys Locksmith Services who will provide you with a free quote before any work is commenced. Lockkeys locksmiths in St Helens, locksmiths in widnes,locksmiths in warrington do not charge VAT. Our Local Locksmith in St Helens, Locksmith in Widnes, Locksmith in Prescot and Locksmith in Warrington provide Residential and Commercial locksmith services and can open locked doors, open locks, replace locks,fit locks, key cutting, upvc locks and supply locks Lockkeys and also offer free security advice. We also provide an Emergency Locksmith Service in St Helens, Widnes, Prescot so if your locked out dont despair we can be with you within 30 minutes to open your door and replace your locks if required. 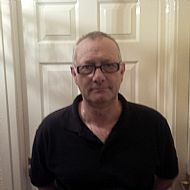 Call Derek your local locksmith st helens on 07967-778940 for a no obligation quote. Your Locksmith in Widnes Derek provides locksmith services in the following areas of Widnes, Penketh,Great Sankey, Bold Heath, Cronton, Cuerdley Cross, Hough Green, Ditton, Farnworth our locksmith in widnes can be with you within the hour, call Derek your widnes locksmith on 07967-778940 for a free no obligation quote. Weekdays From £53, Weekends and evenings From £78, Bank Holidays and nights From £96 we charge for the job and not per hour. Please check the prices of other locksmiths we know we are competitive thats why we display our prices. 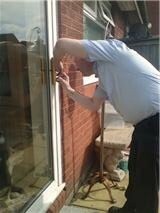 Problems with UPVC Door and Window Locks in St Helens then give Derek you Locksmith St Helens a ring on 07967-778940 for a free no obligation quote. There are hundreds of different makes of UPVC Door and Window locks and so identifying which one is yours is important because one make of UPVC Door and Window Lock will not usually fit another make. Dont guess which one for UPVC Door and Window Locks in St Helens give Derek a ring we could save you money. Locksmiths St Helens are dealing with upvc door locks on a weekly basis as these type of doors make up approximately 70 per cent of all doors in the UK. Locksmiths St Helens provide free advice and no obligation quotes so if you have one of the following problems give Derek or Pam a ring on 07967 778940 we can give you an idea of what the problem is and how much we would charge to rectify it, you could then phone around and get some more quotes. I cant lock my door, if this is the case then St Helens Locksmiths would ask you to open the door and try locking it when its open, if you can lock it when its open then the problem is not with the lock but the alignment of the door with the door keep found on the door frame. But if you cant lock your door even when its open then its likely to be one of two things either the cylinder has failed or the multilock has failed. If you have handles that are spinning around then Locksmiths St Helens would have you check both handles if only one is spinning then it sounds like its just an handle that has failed and either you need to replace the handles or that the spinning handle is not connecting with the spindle, however if both are spinning around then the likelyhood is that the mulitlock as failed. If your having any problems with your upvc door locks then give Derek or Pam a ring at St Helens Locksmiths for free advice and a quote. Areas covered include: locksmith st helens,locksmith widnes, locksmith Prescot, and locksmith Merseyside. 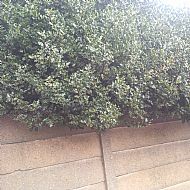 Locksmith St Helens recommend all our customers to look at their gardens in providing extra security for their property for example the picture above is showing an overgrown holly bush hanging over a back garden wall, this offers protection in that it would be difficult to get over this wall without hurting yourself, although the bush could do with cutting back it is a very cheap and cheerful way of adding extra security to your property. If your thinking about installing a Master Key System then give Derek or Pam a ring for a free no obligation quote and advice, our Master Key Systems are bespoke to the customer and not off the shelf, they are also of a restrictyed profile which means no one will be able to get a key duplicated without the authority of an authorised person so protecting who has a key. The Master Key System unlike a keyed alike system allows you to control who can enter individual doors, for example you could have a office with 6 locked doors you may want to be able to give keys to staff allowing them to open the main office door and their individual office doors but not others this can be done utilising just one key however you could have one key the Grand Master which allows you to open all doors. Window Restrictors can be used for both security and safety especially where your windows are able to open wide, unfortunately when there is a spot of good weather their tends to be a increase in burglaries and theft from property through open windows, having window restrictors prevents the window from being opened wide enough to climb through. Probably most importantly for Lockkeys Locksmiths St Helens having Window restrictors fitted can prevent younger children and older persons who may have a dementia type illness from accidently falling from windows especially at height, these types of locks are readilly available to purchase but please use a reputable brand such as the one illustrated which is a jackloc one of the original types of window restrictors, alternatively if you would like us to give you a free no obligation quote for supplying and fitting Window Restrictors please give us a roing on 07967 778940 we are here for our customers. Two days are never the same with locksmithing and thats certainly the case with Locksmiths St Helens, we provide a locksmith service to the church and often have the job of working on old doors similar ot the one above, (apologies that the picture is on its side) working on older doors is a pleasue but can also be challenging in that often the locks have been in place a long time and when replacing them it can be difficult to find a right fit due to the change in sizes from imperial measurements to metric measurements and also the footprint of the lock can be difficult to match or on occasions the lock that requires replacing is now obsolete. Despite this there is always other options to be considered and thats another quality of good locksmiths which is knowing what locks are available on the market to give the customer affordable choices. If you need advice on a lock issue then phone Derek or Pam at Lockkeys Locksmith Services on 07967 778940 we are here to help our customers becuase without them we wouldnt be here. Here at Lockkeys Locksmiths we supply and fit locks to suit every budget but when you want something extra special such as high security locks then we only fit the Brisant Ultion this is because in our opinion they are the best on the market at the moment. If you would like a quote for the Brisant Ultion or any other Locks then please give us a ring on 07967 778940 and speak to the business owners either Derek or Pam Mercer we are here to help. Here at Lockkeys Locksmiths St Helens we supply and iot locks to suit most budgets which includes Standard Security Locks to High Security Locks so whats the difference between the two ? 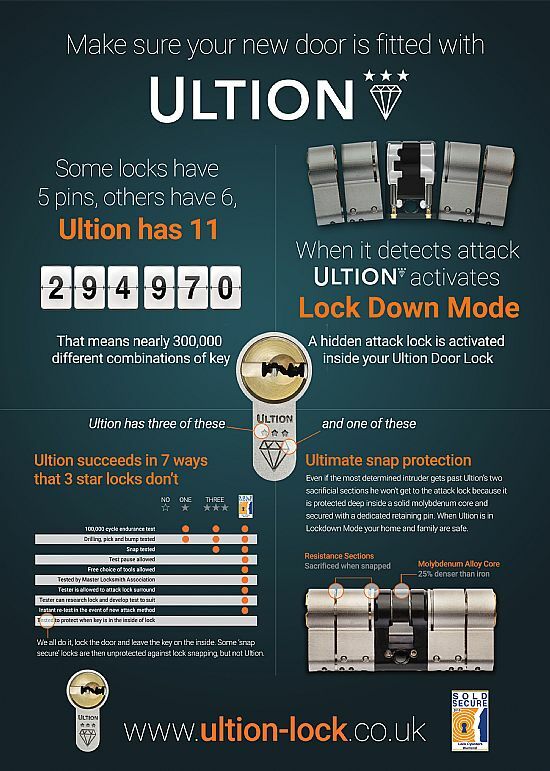 In the most basic terms its about how much protection the lock will provide when attacked, by looking at the picture you should be able to tell which is the High Security Lock, this lock is a 3 Star Diamond Graded Cylinder which will provide far more protection under attack than the Standard Security lock so which lock do I need ? This is an individual choice that our customers have to make themselves and in keeping with your insurance policy requirements. Whichever locks you need on your door we can help just call Derek or Pam of Lockkeys Locksmith Services on 07967 778940 for a free no obligation quote we are here to help our customers beacuse without them we wouldnt be here. If you have a problem with a safe or vault in St Helens then give us a ring on 07967 778940 we can help, whether youve locked your keys in your safe, lost the combination to your safe or want a combination or lock changing on a safe call us for information as we will put you in touch with one of the best Safe Technicians in the North West. Hes a member of the Safe and Vault Technicians Association and is very experienced and knowledgable when it comes to safes and vaults when dealing with safes you want a specialist not an amatuer. How To Become A Locksmith ? How to become a locksmith ? well its easy as there is no regulation of locksmiths so you could call yourself a locksmith today. Most locksmiths either work for someone else or work for themselves as self employed. There is no educational qualification for locksmiths so the normal route is to take a course and as there are many advertised its best to do your research as to which trainer wpould be best for you and you can do this by comparing what each locksmith trainer is going to teach you, what area of the country the training will take place and who will be doing the training, for example is the trainer a working locksmith or do they just do training and how long have they been doing it. Where the training will take place is not that important eg if its in someones shed it wont matter if the training they will deliver will work for you as a classroom environment is not always the best as locksmithing is all hands on. Once you decide who is going to do your training you need to consider your marketing like any other business marketing is probably the most important thing for example you can be the best locksmith in the world but if no one can find you then you wont get any business. Here at Lockkeys Locksmiths St Helens we dont recommend any particular trainer because we dont know them all and so it would be wrong for us to comment, what we will say is Locksmithing is a very interesting and varied enjoyable career. At Locksmiths St Helens we are often working on wooden doors replacing or fitting mortice locks or Nightlatches (known as Yale locks). These locks can be of a standard security type or a high secuity type depending on what the customers budget is but will always recommend British Standard so that your compliant with your insurance policy requirements. The pictured lock is a British Standard Nightlatch which can be used to upgrade from your existing nightlatch, if this is somthing your considering doing then why not give Derek or Pam a call on 07967 778940 at Locksmiths St Helens we are here for our customers.